Are My Supplements Good For Me? Learn why not all are created equal! Home » Ask The Trainer Blog » Men's Fitness » Are My Supplements Good For Me? In the age of the internet, information has never been more readily available. At the click of a button, you can self-diagnose yourself; go online to GNC or Amazon and pick up a bottle of vitamins and you’re good to go. And why would you doubt yourself? Why bother booking an appointment with a physician or health care professional who has decades of knowledge to offer you? Recently, I was part of a discussion with a client who was asking about vitamin effectiveness, and whether or not you should be taking vitamins for lengthy periods of time. My response to her was, ‘well, it depends’. Although this is not an easy answer for patients to hear, it is important to note that those within the health care profession are highly-educated and often better-informed on supplements, drugs and various products. 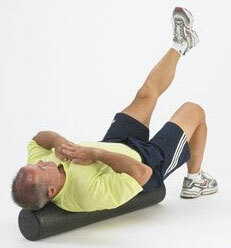 What may seem like a good idea to you may be harming your body in the long run. So, here is the long-form answer to ‘well, it depends’. While this may seem obvious, there are differences between these supplements. Herbs are defined as any plant with leaves, seeds of flowers used for flavoring food, medicine or perfume. They are typically synthesized, dried, ground or powdered and potency will differ depending if you are using the root, bark or leaf of a plant. Depending on the herb, you’ll get a finer product if the manufacturer uses the root extract versus a leafy extract, for example. Vitamins are organic materials that can be broken down by heat air or acids. They come in tablet or pill form, as well as liquids. We do not possess the capability to manufacture our own vitamins, however, we absorb nutrients from the foods we consume. Our recommended daily allowance is a ‘guideline’ for best nutritional practices. However, if you are stressed, exercise or are constantly on the go, your nutrient demands will differ greatly from someone who is by comparison, more sedentary. Minerals are defined as inorganic materials that hold on to their chemical structure. These include iron, magnesium, selenium, zinc, copper, etc. Just like vitamins, we lack the ability to synthesize minerals, but instead absorb them from the foods we consume. Ever wonder why it is when you take a vitamin-B supplement that your next trip to the bathroom looks like you’re excreting urine the color of a highlighter? Water-solubility at its best, baby. There are certain vitamins that we take that dilute in water. Our bodies take what they need at that current time, and excrete the rest. Simple as that. We cannot ‘hold onto’ or ‘store’ these particular compounds because they do not bind to receptors for very long. Instead, the ones that bind are often used up or converted via pathways for various bodily functions; while those that do not bind are never used. This is why sometimes supplements contain values that exceed the recommended daily allowance, or RDA, in order to account for this loss-effect. The fat-soluble vitamins include A, D, E and K. These are vitamins that can be converted and stored in our adipose tissue. Most commonly, our vitamin D levels ‘drop’ during the winter months. Since we absorb it readily in the summer months, our bodies convert and store it. As the winter progresses, we deplete our reserves, which is why supplementation for this vitamin has gained popularity within the medical community over the last decade or so. This is a question that gets asked often, ‘what are the side effects of taking too much?’ Again, it depends on what you are taking, in what quantity and for how long. Taking vitamins that are fat-soluble can increase vitamin toxicity, as they are bound and stored in our fat cells. Generally speaking, signs and symptoms of toxicity can include GI distress, vomiting, fatigue, joint pain and muscle soreness. Herbal supplements are another grey area if they are taken for too long. Recall, that modern medicine has been furthered through the research done over the centuries. Willow bark was used for pain management where it was peeled, boiled and drank as a broth. The active ingredient, acetylsalicylic acid, has since been chemically synthesized and bound in pill-form and known today as Aspirin. 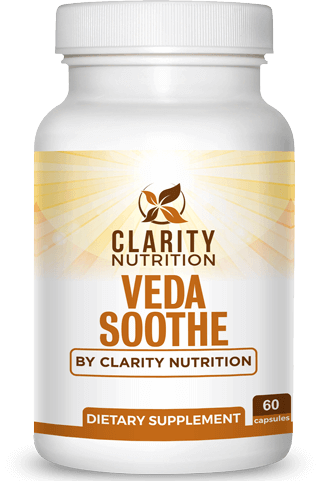 Recall that the herbal potency varies based on whether the bark, root or leaf is used. Just like food items on a shelf, herbs too, lose their potency over time, too. Pharmaceutical companies often utilize herbs and plants to chemically derive many of their medications. Plants from the digitalis family, such as foxglove, for example, are found in Acetyldigoxin, a cardiac medication used for congestive heart failure. Interaction with pharmaceuticals, which are often chemically more potent, can spell disaster if mixed incorrectly. Some vitamins and minerals are prescribed separately for a reason. So if you’re health care practitioner is telling you to take them separately, please don’t cram them into your face. If you do this, you are causing them to compete with other compounds, which will reduce their absorption and lower their effectiveness. Zinc, for example competes with copper binding sites; magnesium and calcium can have interactions too. Vitamin C can enhance the absorption of iron in the body, which is why you’ll hear sometimes to take your vitamins with breakfast and have some orange juice. Fat-soluble vitamins like A-D-E-K are best absorbed with meals that contain fats. Some vitamins are enterically coated. This allows them to be taken without food, while minimizing the GI distress you usually experience. My rule of thumb is if you can’t take your multivitamin with food and it’s not enterically coated, take it with a spoonful of almond butter or peanut butter. The fat will coat it, easing the process of digestion. Conversely, iron supplements on their own or ones that have a higher iron content may upset your stomach if they are not taken with food. 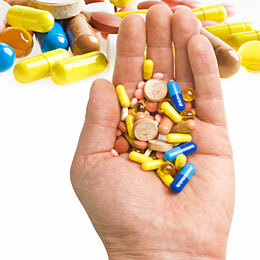 Supplement-drug interactions are another big topic. 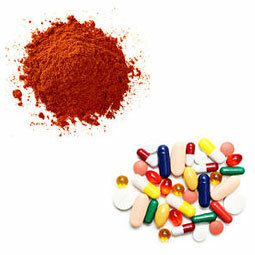 We have discussed that some medications are affected by herbal or vitamin supplementation. But what isn’t commonly known is that many pharmaceuticals have nutrient-depleting qualities. When choosing a supplement, always consult with a health care professional. 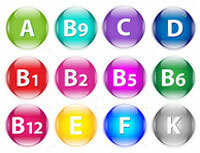 Supplements often contain vitamins and minerals combined, such as multi-vitamins. Fat soluble vitamins are different from water-soluble ones, and you may run the risk of toxicity over a long enough period of time. Herbs are a tricky supplement, so if you are taking medication, provide your list to your health care provider so that they can ensure you aren’t depleting certain binding sites, or changing the chemistry of your medication. Supplements can be beneficial when taking medications, especially when they have known nutrient-robbing tendencies. Your age, lifestyle, physical activity, stress level, gender and health comorbities are all influential in which supplement or supplements are right for you. Supplements, unlike medications are not synthetically specific to key areas or binding sites, which is why it can take weeks or months before you begin to notice physical changes. If you are taking supplements, but have an inactive lifestyle, smoke, eat to excess or drink, you will reduce the efficacy of your overall results, making them take longer. Remember, good in, bad out and it takes time. 3. Vagnini, F & Fox, B. 2005. The Side Effects Bible.